Hi, I'm Vanessa! 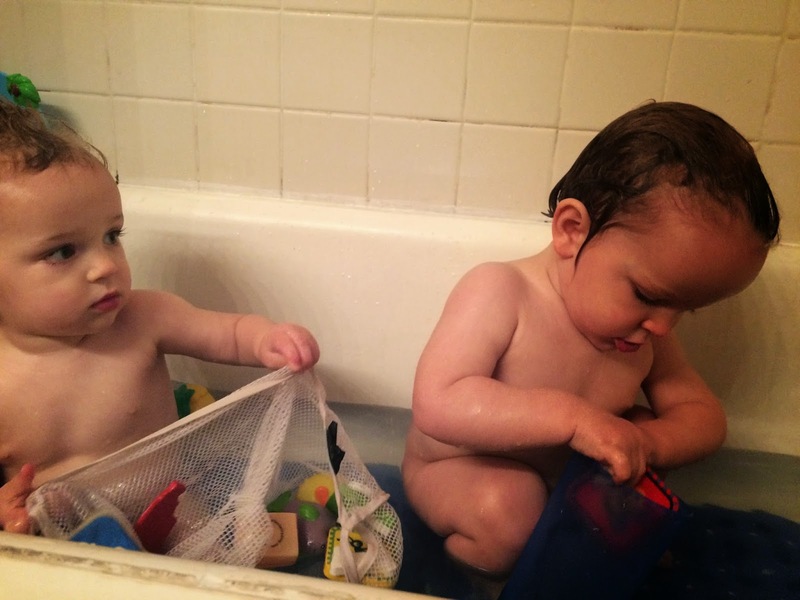 My husband, Matthew, and I both work full time while my mother-in-law stays at home with our beautiful twin boys. I am a Library Manager and Matt is an installation technician, so we both have long hours, although they are usually pretty stable. We have two large dogs and own a home in Texas. We didn't "try" to get pregnant very long although we did experience one miscarriage before I got pregnant with the boys. I don't get "days" with the boys very often. These are usually weekends (if I am not working) and occasional week days when I am off with them. 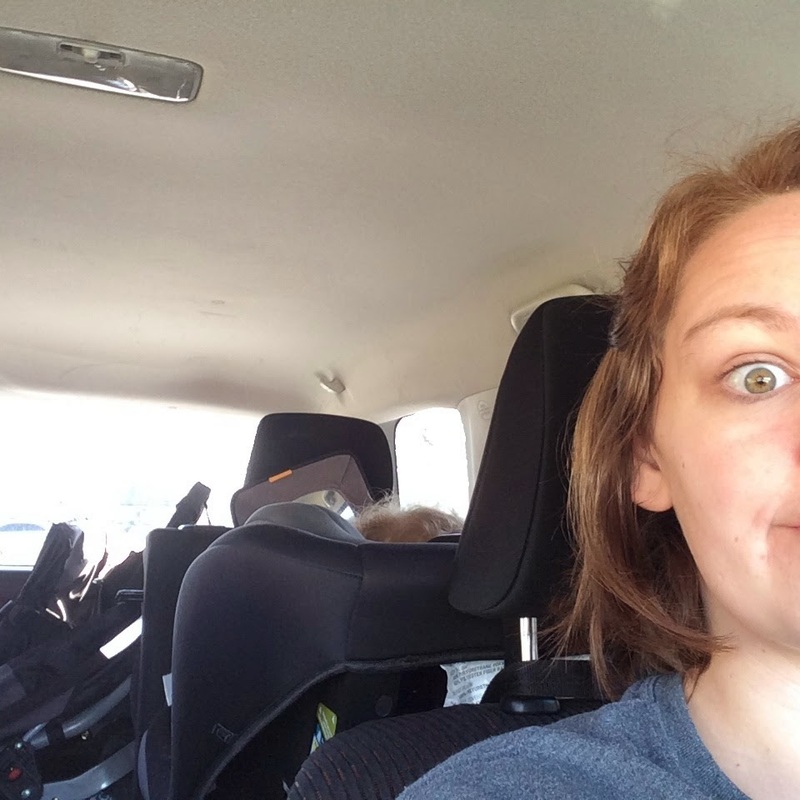 Because of that, I feel that my day is far different than a SAHM experience may be although still typical of what their daily overall schedule looks like. 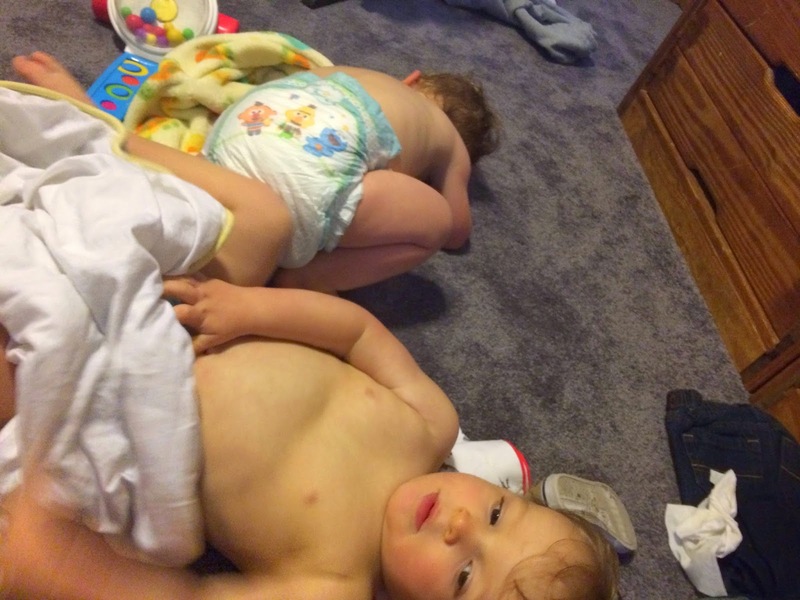 7:45am: I go into their room and change their diapers. We do a little snuggling and read a couple books. 7:55am: I put out our Melissa and Doug refrigerator magnet sets that we got for them to play with while I scramble eggs and make them a smoothie. The magnets are a hit but the dog bowls are EVEN BETTER. They toss them around and hit each other in the head with them. 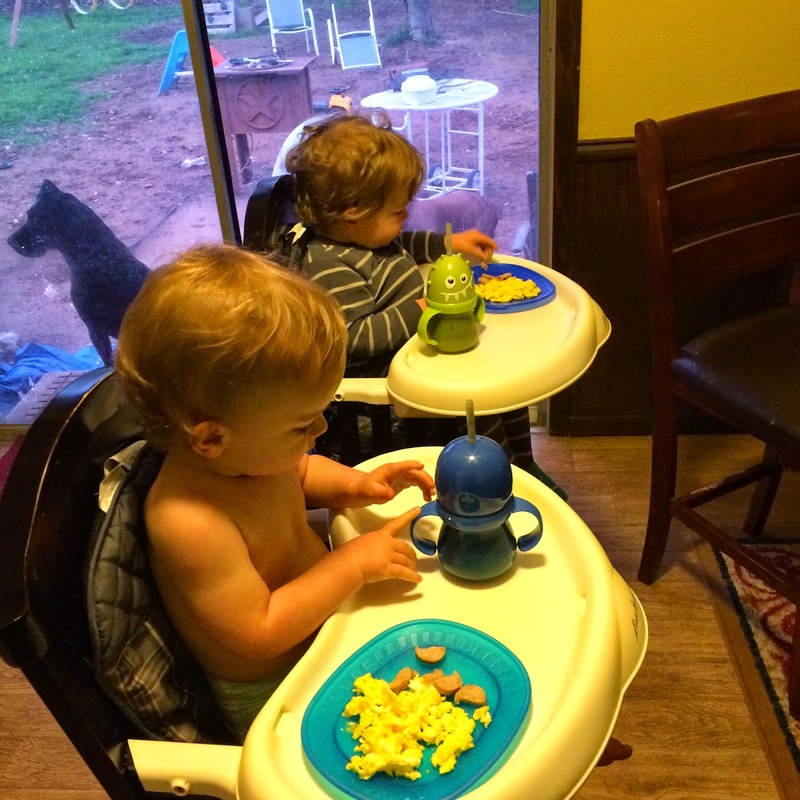 8:10am: I get the boys in their high chairs and the eat breakfast - eggs, smoothie and chicken sausage. I have a few nibbles of their eggs and make a cup of coffee (priorities!!). B is a little smoothie uneasy at this point he would rather just eat his food... J on the other hand is a smoothie monster! Good thing too! 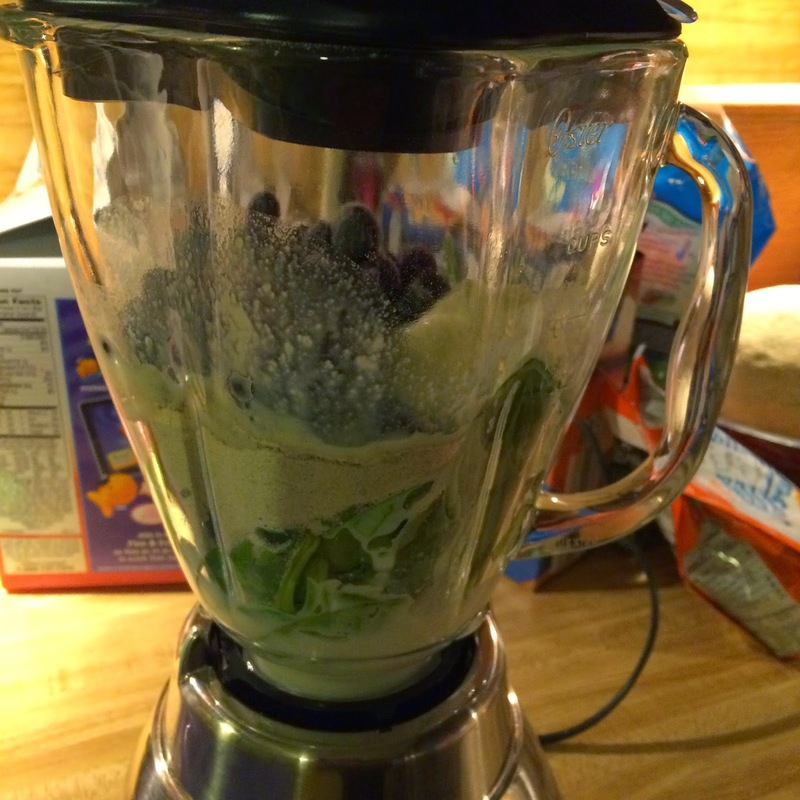 I have been making him spinach smoothies for a couple of days during the week for about two weeks now because he was recently diagnosed with a mild anemia. He hates the texture of meat and dark leafy greens but this has been an amazing solution! 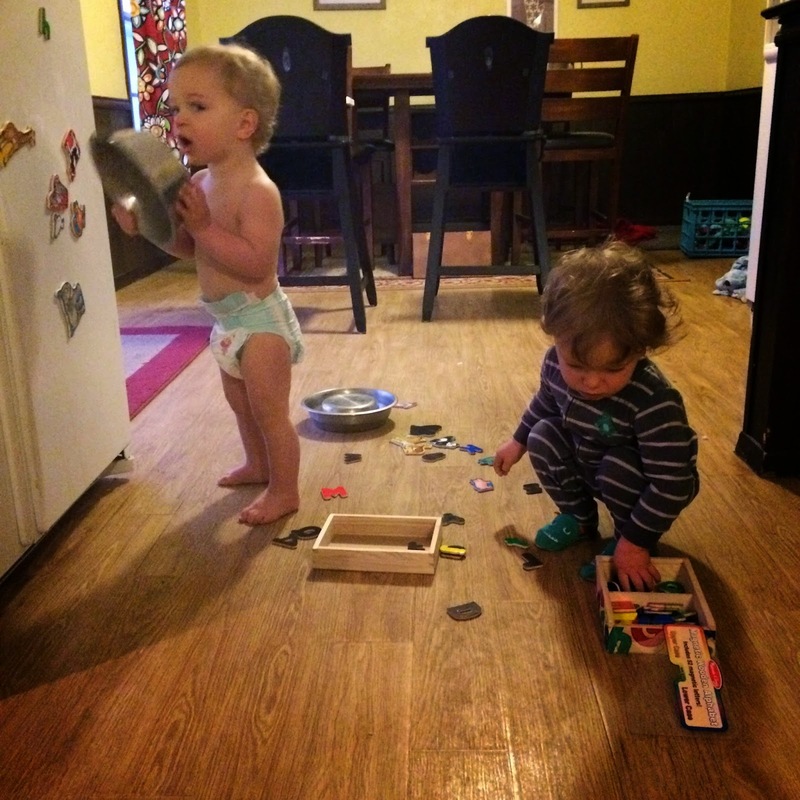 8:30am: Clean off high chairs, boys play with magnets and bowls more while I clean up the kitchen mess. 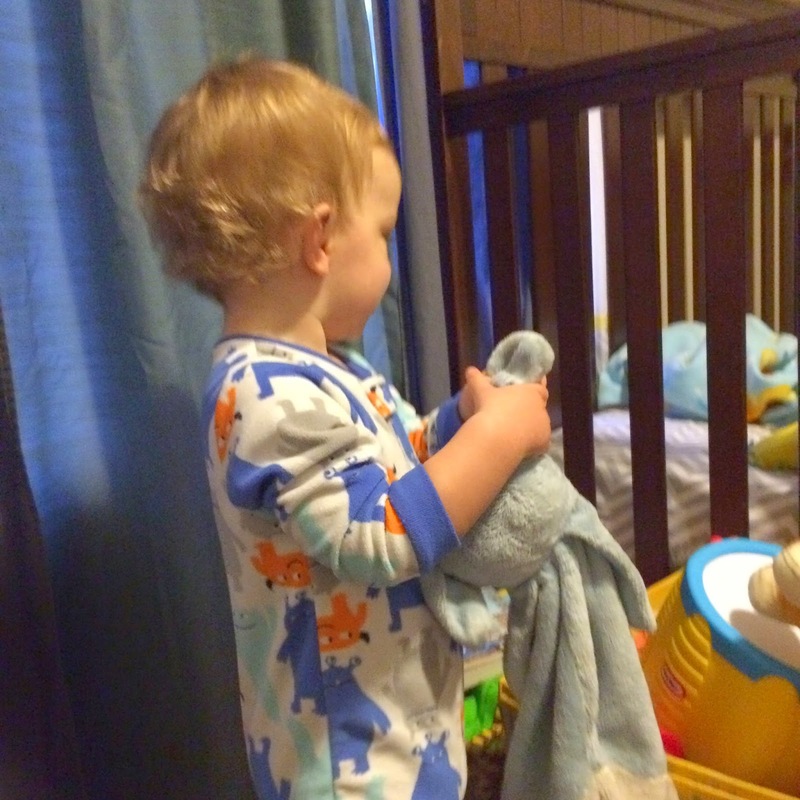 8:50am: Take boys into their room to get dressed and another diaper change. 9:15am: Get myself dressed (barely), room picked up and bag packed for park and errands. 9:50am: New Park – huge mistake. Play structure just felt wayyy too big compared to the park we usually visit. 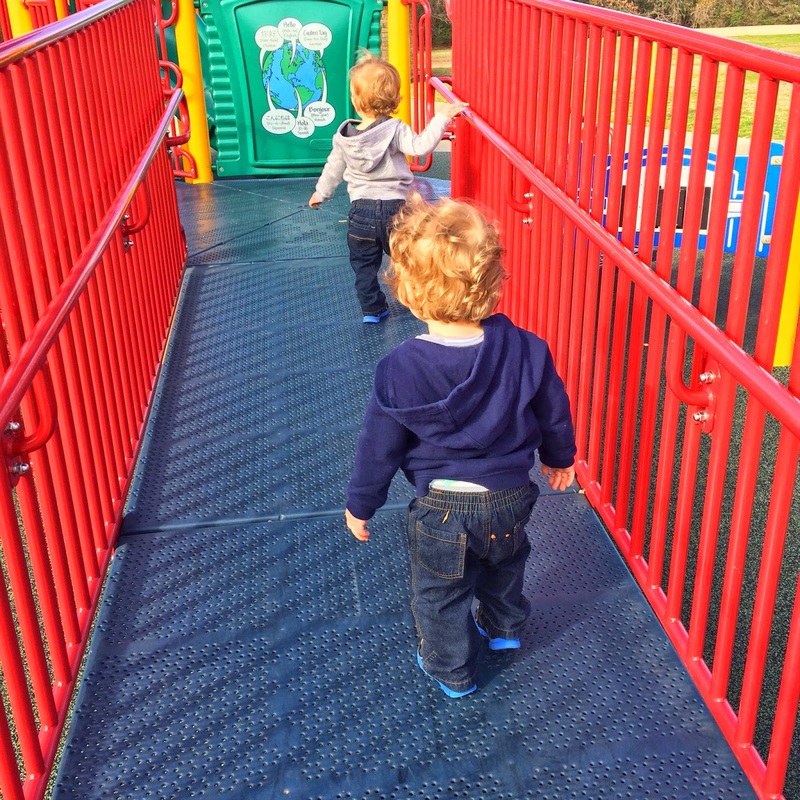 They were way to confident walking on up and trying to slide down these HUGE slides. I will stick to our smaller (lower to the ground) park until they get a little bigger unless I have someone to help me! 10:30am: Loaded up and snacks (raspberries, Annie’s cheddar bunnies and raisins) in the car with milk. I stopped to get gas and do a quick drive thru car wash (mine was so dirty!). 11am: Home and played in front yard. Tried to run away to a tractor doing some road construction on our road. Ayi! I love how much they notice the world around them now. B is OBSESSED with cars/trucks/motorcycles/tractors. It's amazing to see how aware they are! 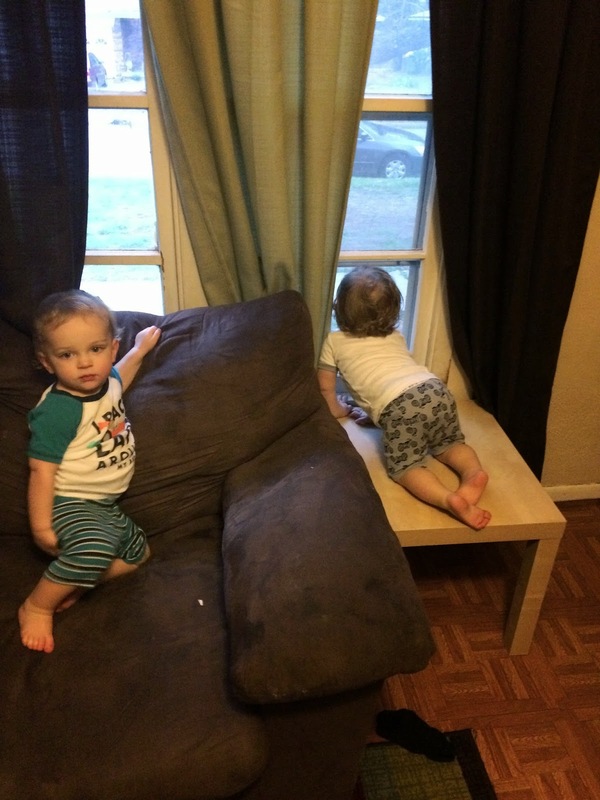 11:30am: We play inside for a bit while mom preps lunch. More magnets, dogs and overall chaos in climbing, etc. Noon: Lunch – Havarti and roast beef sandwich, raspberries, a little left over smoothie, milk and sweet potatoes. 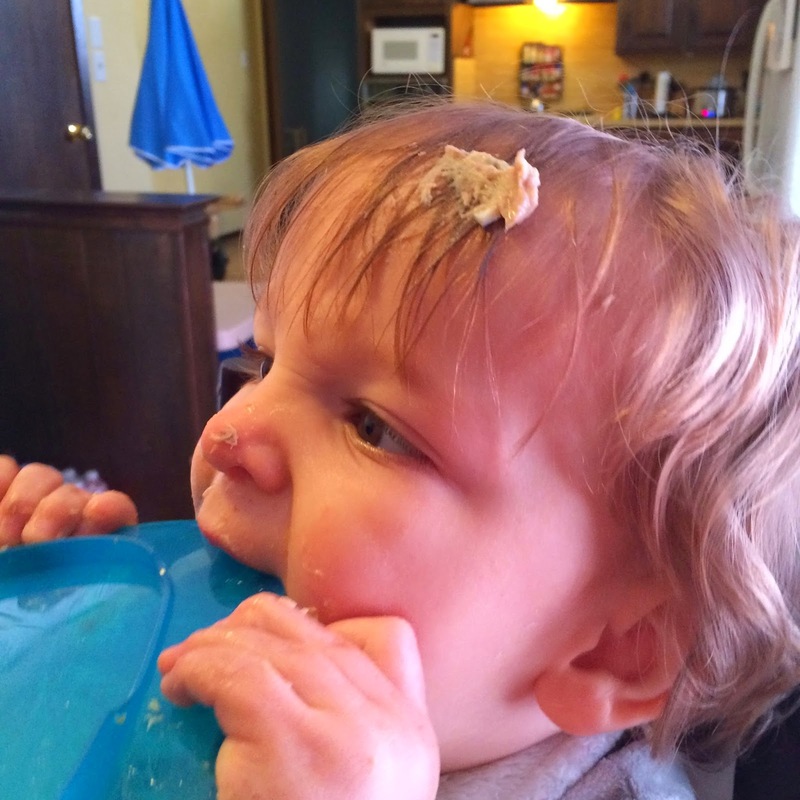 12:30pm: Clean off high chairs and a do a few more kitchen chores. 12:45pm: Off into their room to wind down before nap. 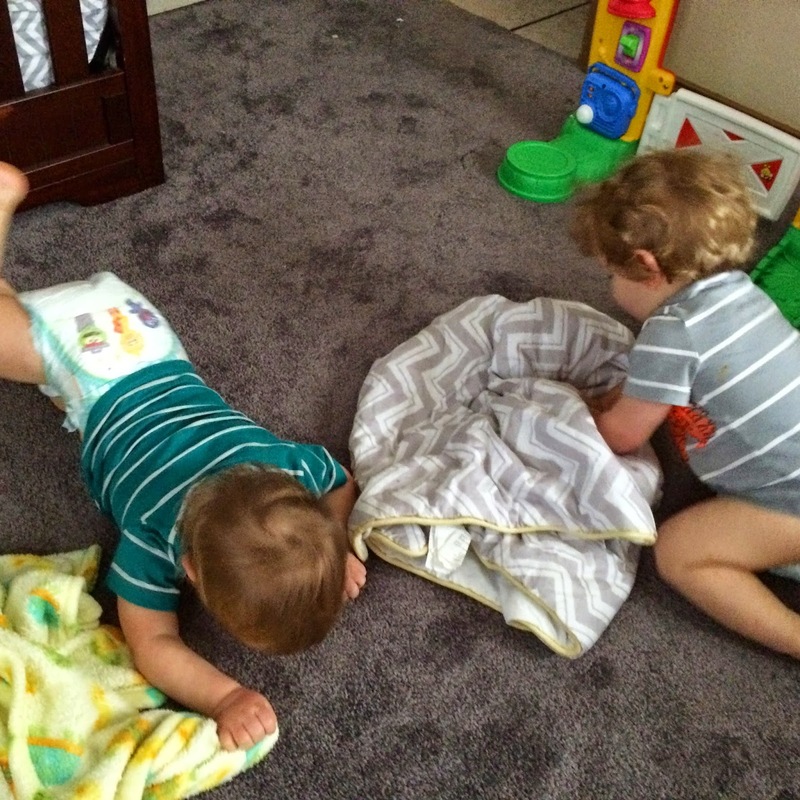 They love to roll around in their blankets and act silly! We change diapers, read a few books and sing one song. I lay J down at 1pm and he sweetly goes right to sleep. I lay B down and… he is a maniac.. He finally falls asleep around 1:15pm. I stay in the room until B is calm and "shuuuush" for him. I quietly leave the room and he immediately has a panic attack. I re-enter the room, calm him with shhhing and back patting and repeat about 10 times. Going through a huge separation anxiety phase where he really really wants to be held. 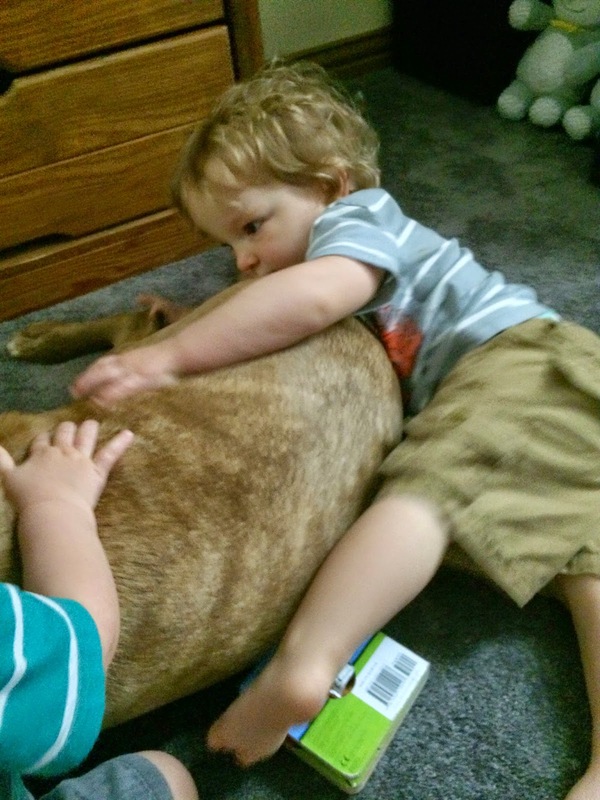 The funny thing is how much my little boys have role reversed this month. 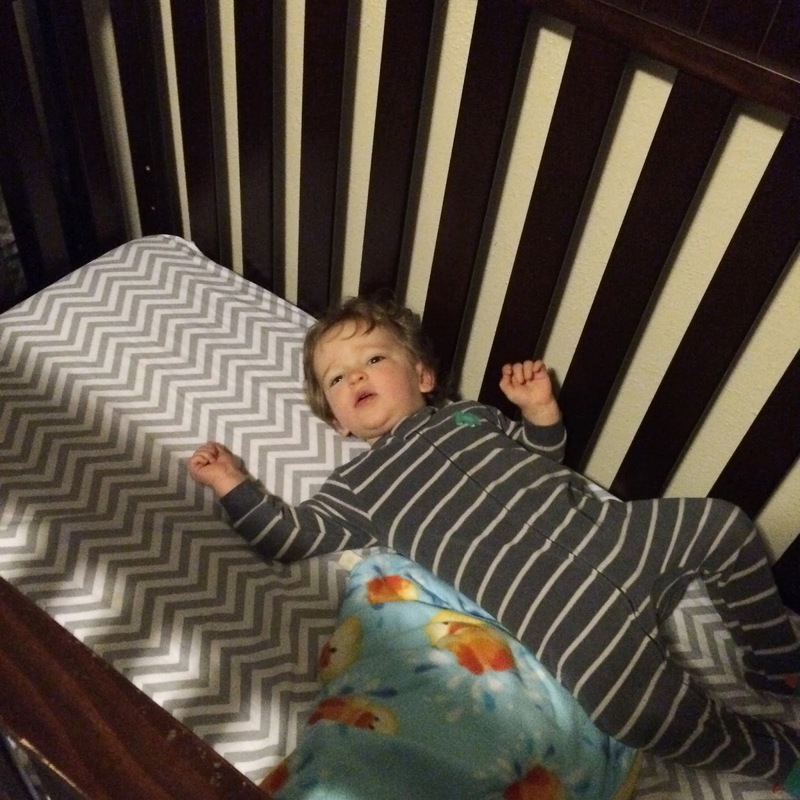 Last month, J was tough to go to bed and now he is doing it like a Rockstar. 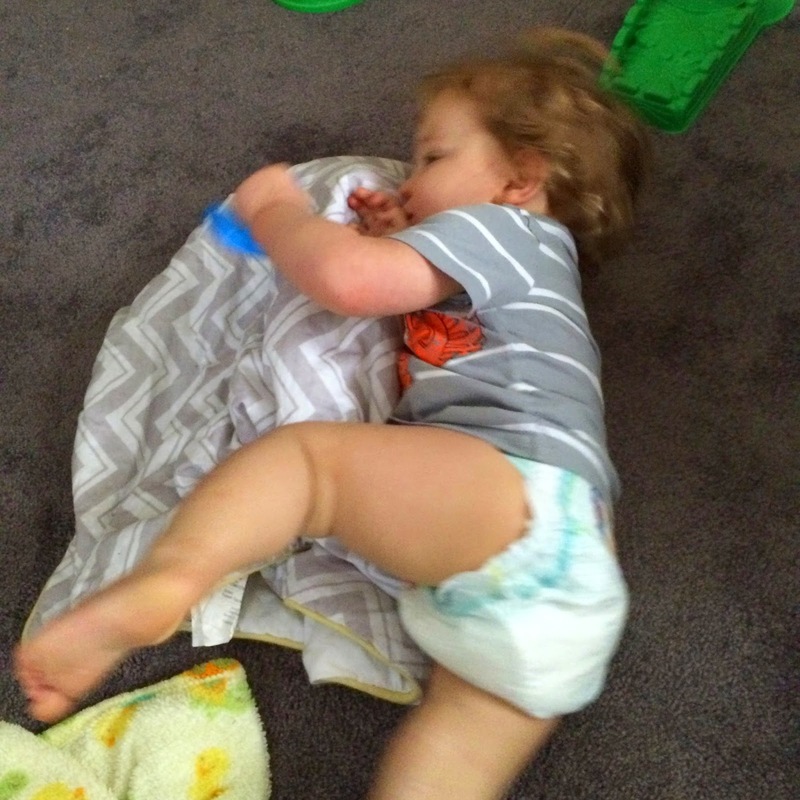 I think it's obvious how much developmental milestones change their abilities and view of the world around them. 2:30pm: Boys up. Shorter nap than usual (or preferable) so they are very fussy upon wake up. 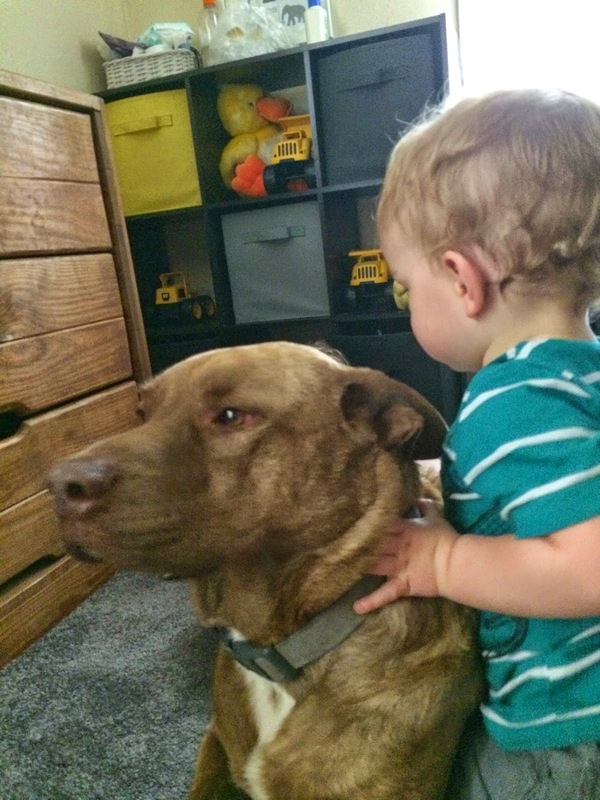 Crying like crazy, quick diaper changes and playing with the dog to help cheer them up. 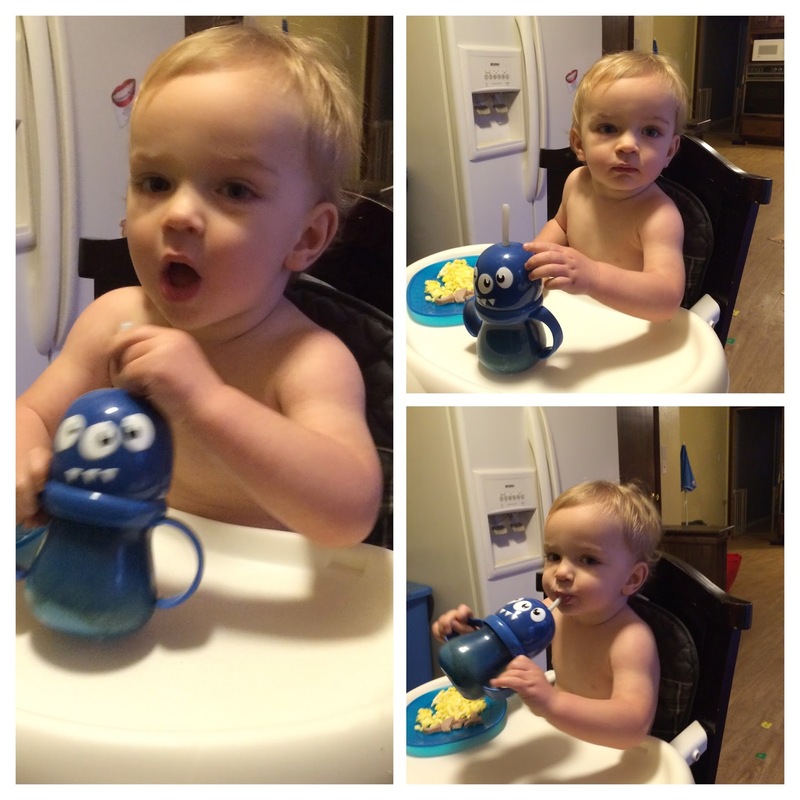 3:00pm: snacks – blueberries, milk and cheese at their picnic table in the kitchen. They LOVE to eat at their little table like big boys. They also love to go to the refrigerator and say "snack" when they are ready, they open up their drawer and at least get to have a portion of the snack decision making. 3:30pm: Mom’s friends come over to visit so there is LOTS of showing off and playing for about one hour. (Totally spaced on pictures here as 1. I was getting tired and 2. I was enjoying our company. 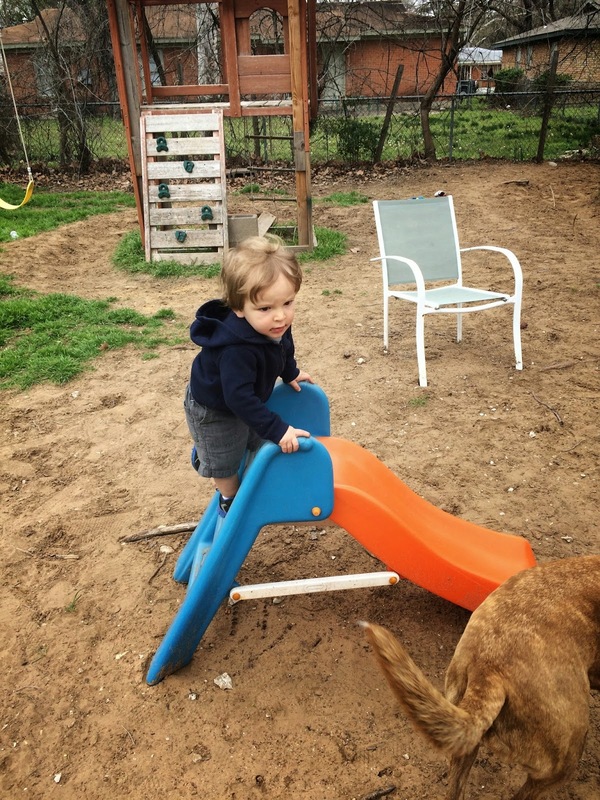 4:30pm: Outside time in backyard, slide, swing and playing with dogs. They LOVE to be outside. I am so happy Spring in Texas is finally here for us to enjoy the weather. 5:45pm: Dinner – Rice with mixed veggies, grilled chicken and apples. J is so over it at this point. His short nap has caught up to him and he hardly eats anything. 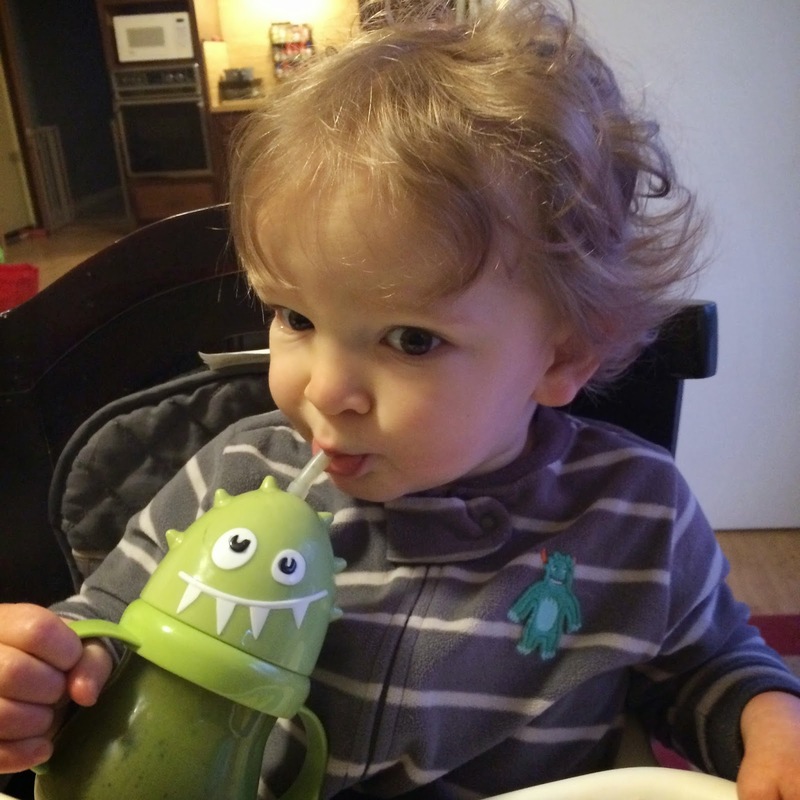 B eats like a super eater – as usual. 6:15pm: Clean high chairs and pick up kitchen. 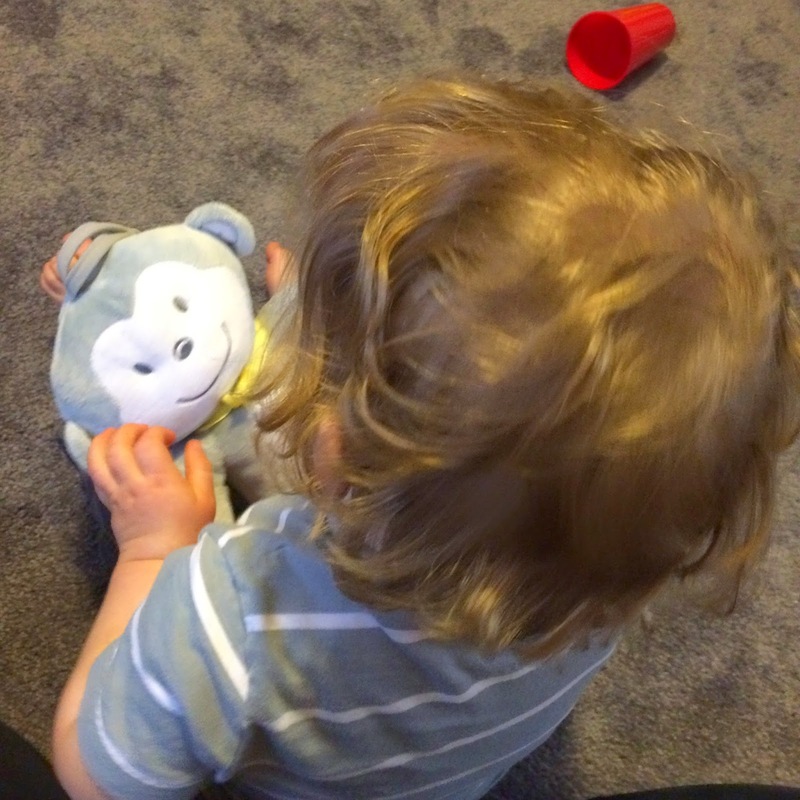 6:30pm: Bath – short and sweet as B has eczema and cannot be in longer than 10 mins. 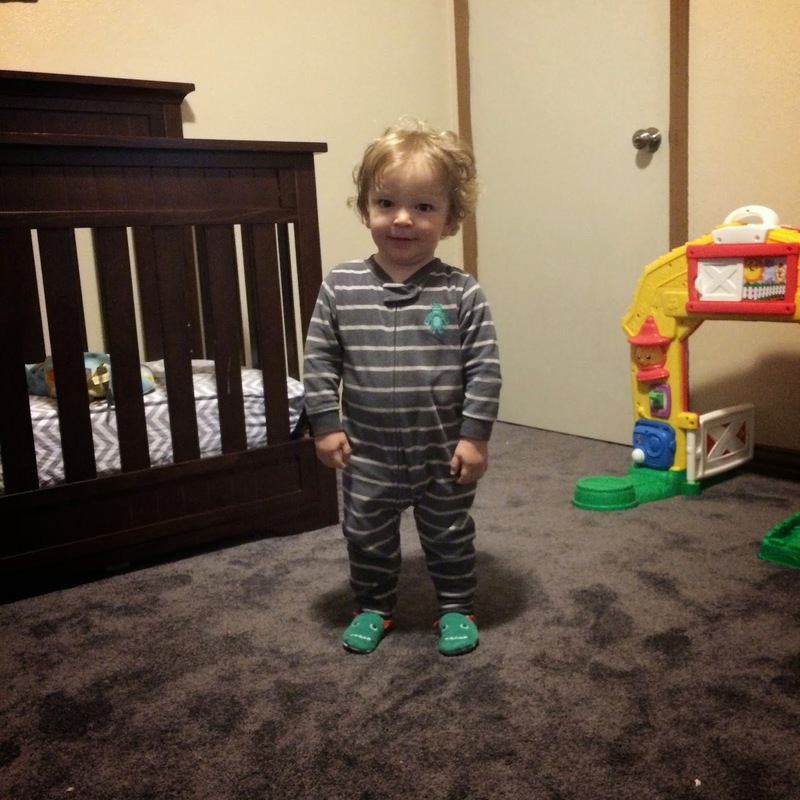 6:40pm: Put on diapers, cover the boys in lotion and put on their jammies. Play for a bit to get out all of the energy. LOTS of daredevil activities and climbing. 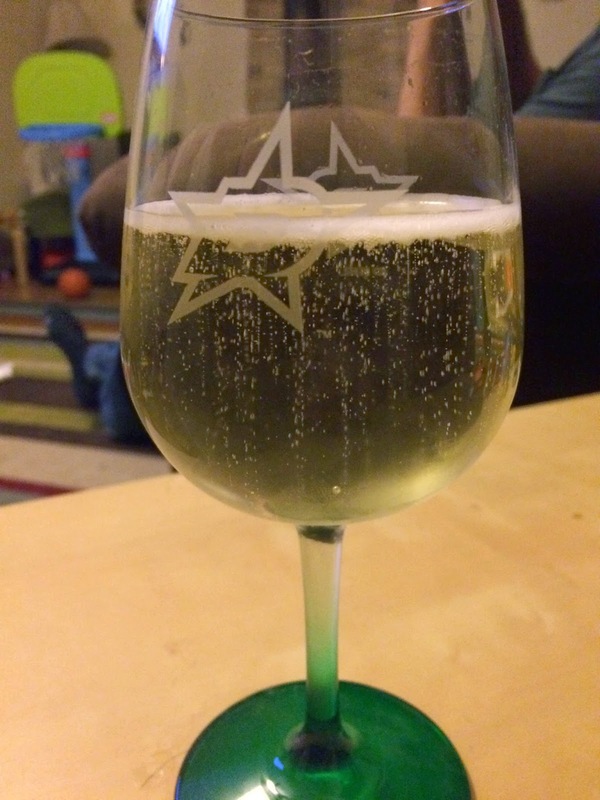 7:15pm: Start bedtime routine. Turn down lights and use lamp, change diapers, read 3 books. We sing one song and I lay them down in the crib. They were both so exhausted after a long day and short nap that they fell asleep rather quickly in their beds by 7:40pm. 7:45pm: I eat a quick dinner of leftovers and then clean up time for the house – mom gets as much housework as she wants/cares to for one hour. 9:15pm: Shower and then BED. Hi my girls are the same age. They go to bed at 8 but wake up(crying) at 5:30! 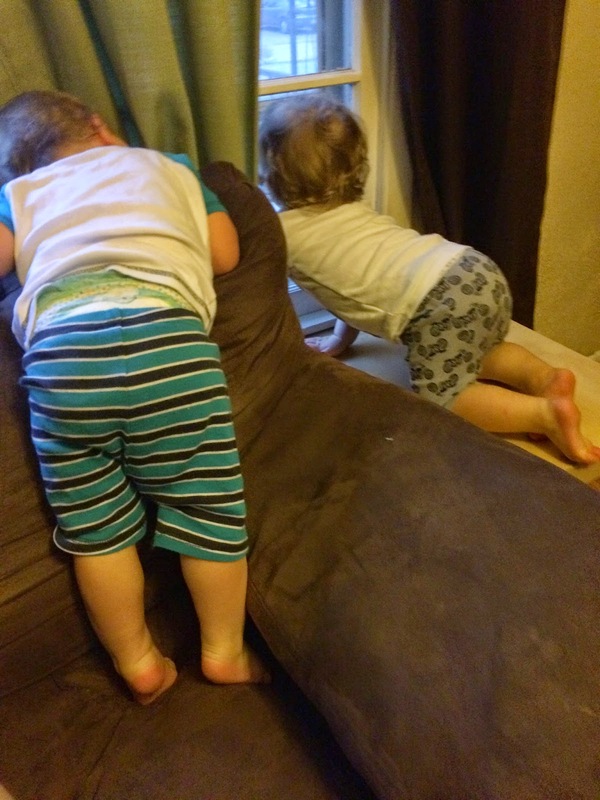 Any tips on getting them to sleep later? Every night we use quiet white noise and a cool mist humidifier. 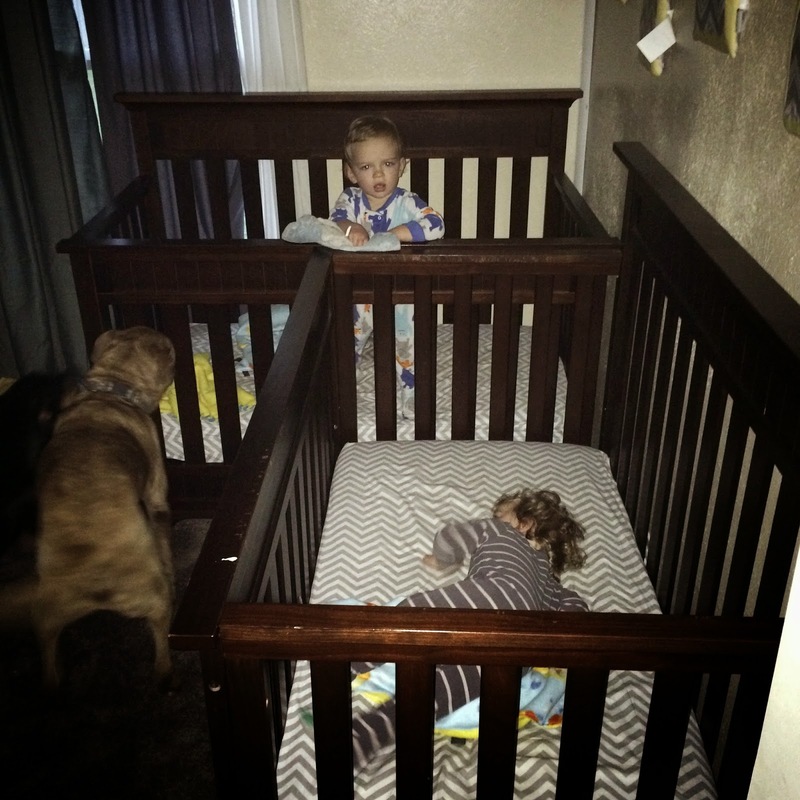 When my start to work earlier and earlier I will start putting them to bed earlier (sounds crazy but it works!!) and I recently put in some darker curtains so that they lights would be blocked out as the sun is coming up.